DJ Marfox’ debut 12” 'Eu Sei Quem Sou' (“I Know Who I Am”) declared his insistence on claiming cultural roots, and roots as an impetus for creative, technological and - perhaps most critically - collective social evolution. 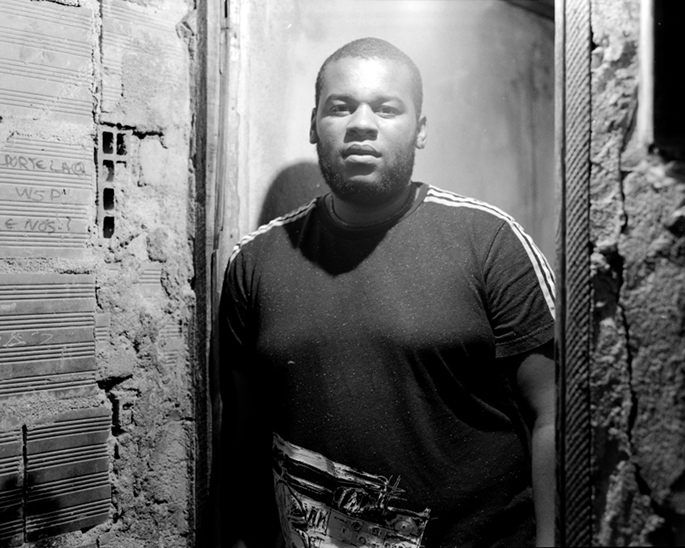 Marfox aka Marlon Silvas’s ancestry traces back to the former Portuguese colony of São Tomé e Príncipe. He began producing and DJing as a teenager, disseminating music via YouTube and independently releasing his music via mp3s in Lisbon. His DJs “di Ghetto” compilation EP produced with his crew by the same name acquired iconic status in urban Portugal and diasporic African communities throughout Europe. Helping to create a grassroots network of young creatives seeking to breach new territory in sound and culture. 'Eu Sei Quem Sou', released via the then emerging label Príncipe in 2012, articulated brash poetics with complex driving percussion, dark baroque techno, garage, bass, and batida (instrumental kuduro) demonstrating Marfox’ complex aesthetic matrices. His most recent 'Lucky Punch' EP was released early last Summer on Lit City Trax (DJ Rashad, Traxman, ..) and his glorious US live premiere happened at the label's party at The Westway, as part of the Red Bull Music Academy New York Festival. Also topping a fantastic year, his commissioned remix work for tUnE-yArDs "Water Fountain" single got a digital release before December was over. Marfox has just delivered a new and eagerly awaited EP for Príncipe to be released soon and recently saw his 'Take Off' track included on Warp Record's Cargaa 1 compilation. Listen to 'Beat And Break' from the Lucky Punch EP below.